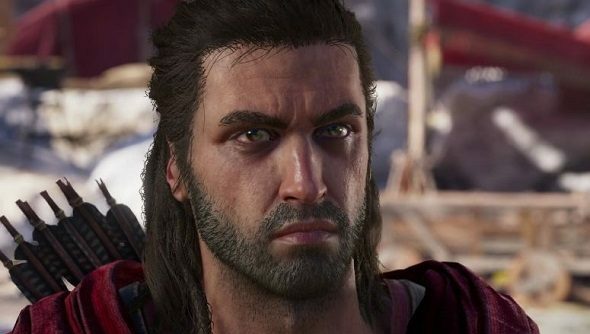 When Assassin’s Creed Odyssey creative director Jonathan Dumont stepped onto the stage at Ubisoft’s E3 conference, a big grin on his face, he called the game a “roleplaying journey.” Then, as if to ensure we didn’t mistake his choice of words, he said ‘RPG’. Twice. And finally, to lend extra gravity to the idea, he had Socrates explain the precepts of the RPG to us. A short while later, an unseen player flicked pointedly between two of the game’s dialogue options. Look, mum, we made an RPG. Ubisoft was telling us in no uncertain terms that its premier open-world action game had, in the course of a couple of iterations, switched genres. The open world genre has a long, wide history – here are the best sandbox games on PC. It began with Origins, the first Assassin’s Creed game released in the wake of The Witcher III. In that game your power is governed by stats, a new loot system encourages you to strip your kills of gold and weapons, and you can tackle quests at your own pace. In Assassin’s Creed Odyssey, which Dumont describes as a continuation of the series’ transformation into an epic RPG, even the plot is true to the genre: you play a simple mercenary who grows to become a legendary warrior. To put that in Disney’s Herculean terms, it’s the zero-to-hero story. Just as that transformation looks to be complete, other developers working in the open-world space are using different Greek philosophers to justify their pivot into the RPG genre. 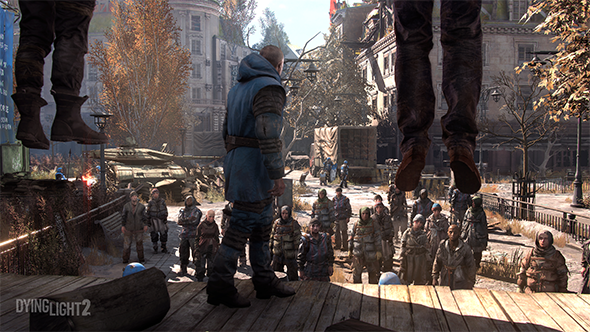 Dying Light 2’s Techland invoked Heraclitus, who said, “There is nothing permanent except change.” But they had a far more influential figure introduce the game on-stage: Chris Avellone. Avellone, perhaps the most famous RPG writer in the industry, is Dying Light 2’s narrative designer. He and his team appear to have turned a series not known for its storytelling into something more like Dishonored – a living city teeming with potential reactivity. “Dying Light 2 will be the first in its genre where your choices have genuine consequences in the game itself,” Avellone said. He described a decision to help a faction gain access to clean water, raising the morale of local NPCs, visibly gentrifying the area, but also increasing the stranglehold of a group that is known for its brutality. It’s exactly the kind of demo Avellone’s former studio, Obsidian, might have given a decade ago. Again, the cultural influence of The Witcher III looms large. Writers from The Bloody Baron, that game’s most-acclaimed quest, are working on Dying Light 2 alongside Avellone. These are high-profile hires from the RPG sector – a testament to Techland’s new and surprising commitment to branching story. Against this backdrop, Anthem’s showing at E3 seemed doubly strange. While its contemporaries were making baby steps – and parkour leaps – into the world of choice and consequence, the famous RPG studio was showing off its least BioWare game in decades. Anthem’s lack of romance options proved a minor controversy during the show – a flash point for fans concerned their favourite RPG developer was leaving the genre behind. The studio has clearly struggled to refit their modus operandi around a Destiny-style shooter, settling on a binary arrangement where conversation and lasting consequence will mostly be restricted to the game’s hub city, rather than found out in the world. 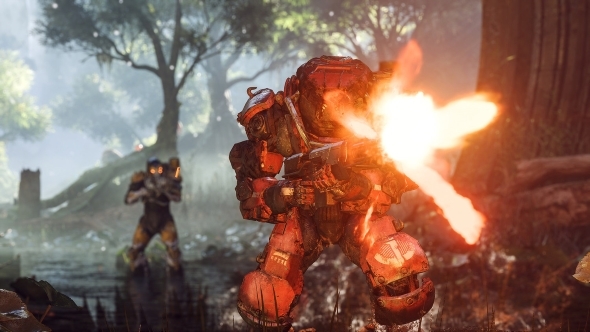 Bethesda, meanwhile, revealed its new project with a preemptive explanation of what it meant for a Fallout game to be “entirely online.” The most reliable RPG outfits in the industry are, right now, promoting games that aren’t exactly RPGs. The risks they are taking are brave and fascinating, something to be applauded, but divert their attention away from the genre. Dragon Age 4 is distant but visible on the horizon. Starfield, Bethesda’s next grand single-player game, is “in production.” In the meantime, however, you might find that it’s best to look to unfamiliar names for big-budget RPG experiences – studios not previously associated with evolving stories and reactive, fleshed-out worlds. The open-world genre, flush in its financial dominance and looking for somewhere new to go, is coming for the RPGs.